Summary Palestra House is a new purpose built, self contained office development which occupies a rectangular site at the junction between Blackfriars Road and Union Street in Southwark. It has been fitted out to a Category A finish with the exception of the retail space which was completed to a shell standard. The design brief was ‘to take account of environmental issues and the building is to be designed so that it would be capable of achieving a BREEAM rating of Good, as a minimum. The building is also to comply with the revised Part L of the Building Regulations introduced 1.4.02’. 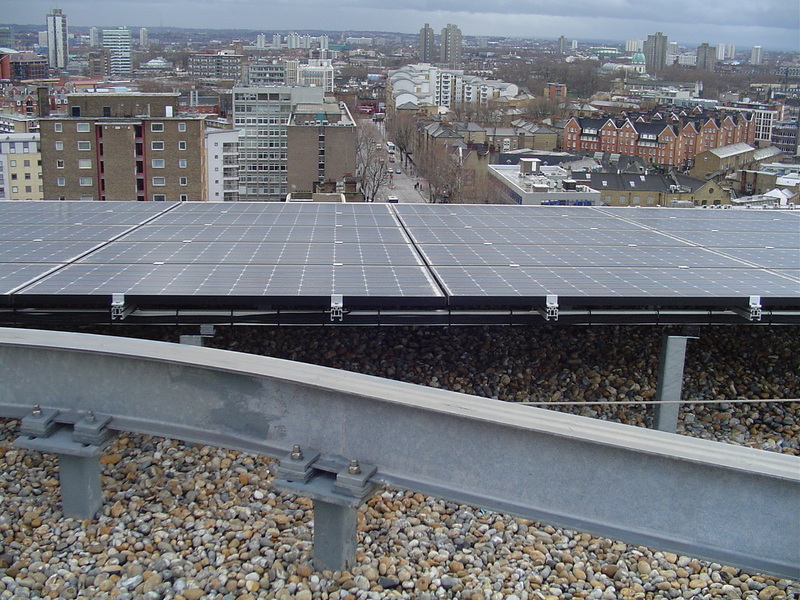 The architects, AMC Alsop, provided a highly flexible floor plan while a combination of roof top photovoltaic cells and 14 wind turbines will reduce the carbon emissions of the building by 3,300 tonnes during the building’s lifetime. Achieving a BREEAM (Building Research Establishment Environmental Assessment Method) rating of Very Good, the structure sets a high standard in an environmentally friendly building with a minimal carbon footprint without loss of all important functionality.